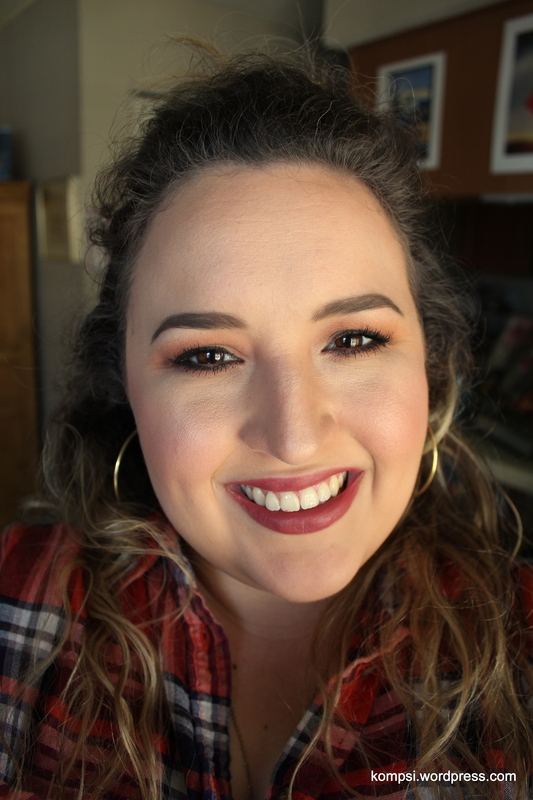 Since it’s technically fall, regardless of what the weather here in San Antonio suggests, it’s time to do something warm with a touch of drama. And just to spice (or pumpkin spice?) things up, I switched up the lipcolor as well. One is more subdued and the other is a bit more dramatic. For this look, I built it around a Nars single eyeshadow called Persia. I LOVE THIS SO MUCH, even though it took me a long time to figure out how to wear it without looking crazy. It’s very intense and intimidating looking in the pan. I mean, it’s bright, burnt orange or rather “matte paprika” as Nars describes it. So I get it. But Persia likes to play with warm browns, especially mattes! So that’s what I did here. 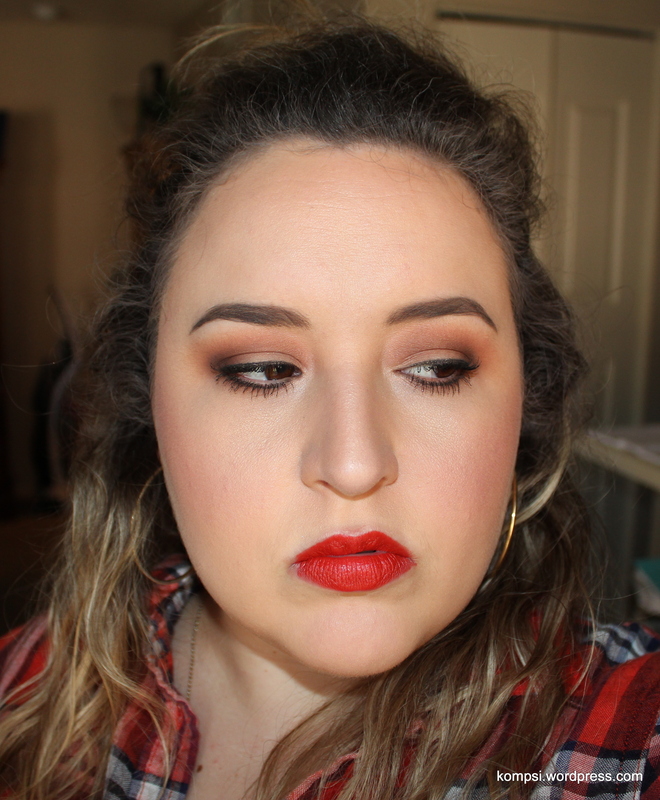 For this look, I used a combination of Urban Decay’s Pulp Fiction eyeshadow palette (discontinued, but dupable), the Naked Basics palette and Nars Persia and Galapagos. this look is beautiful!! That lip color looks stunning on you!